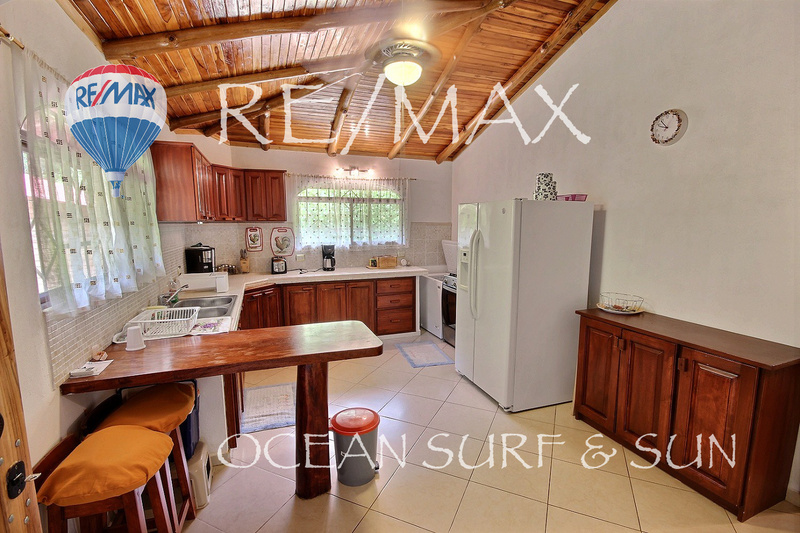 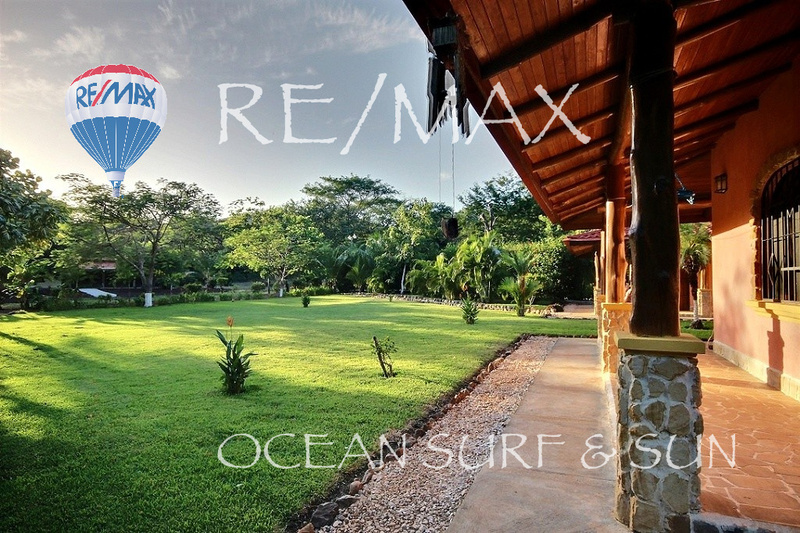 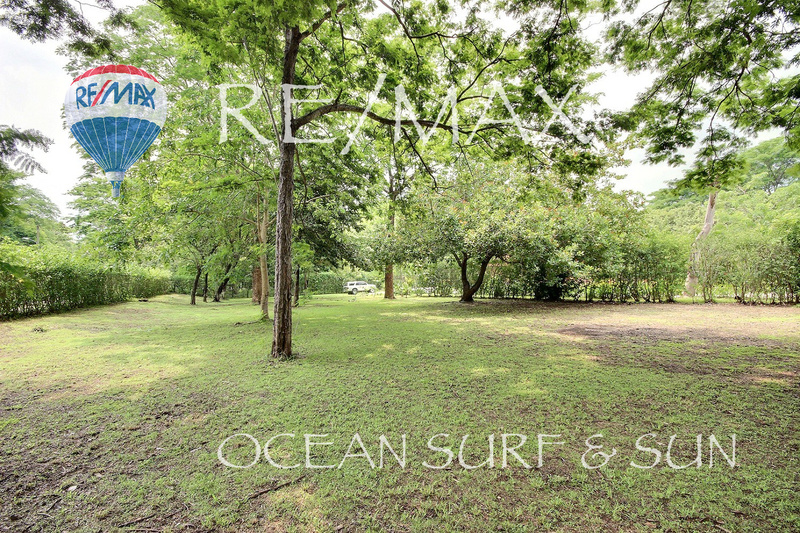 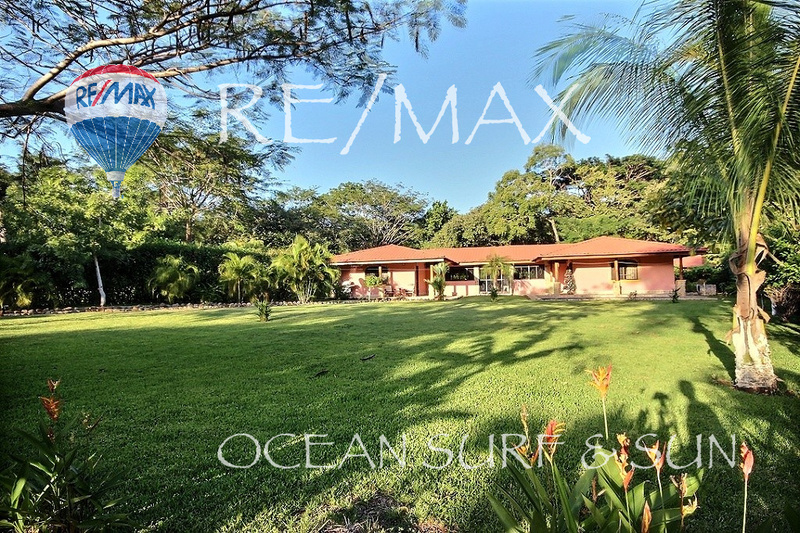 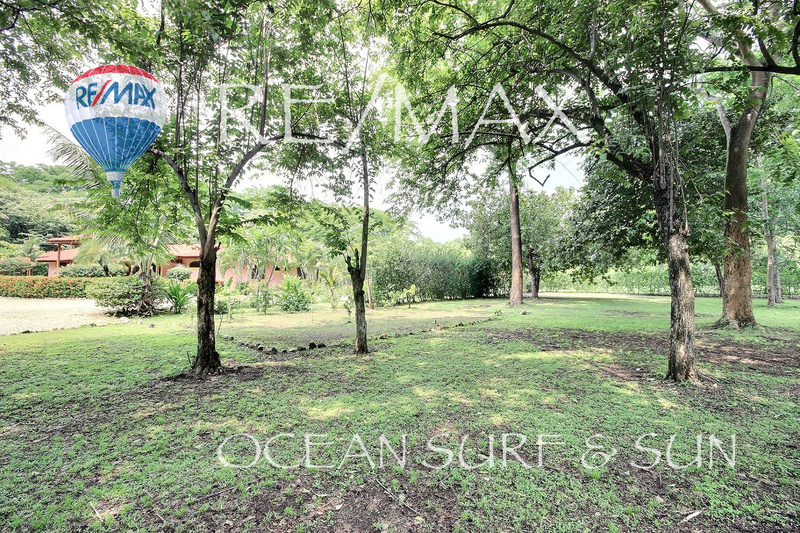 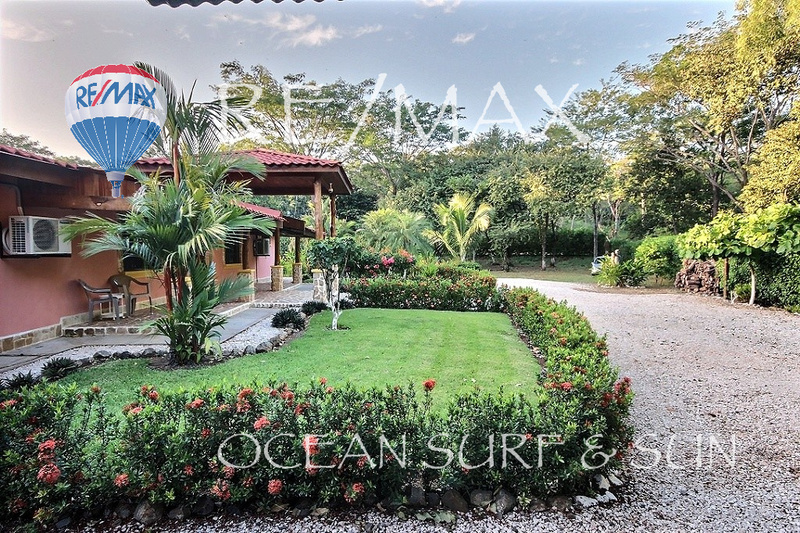 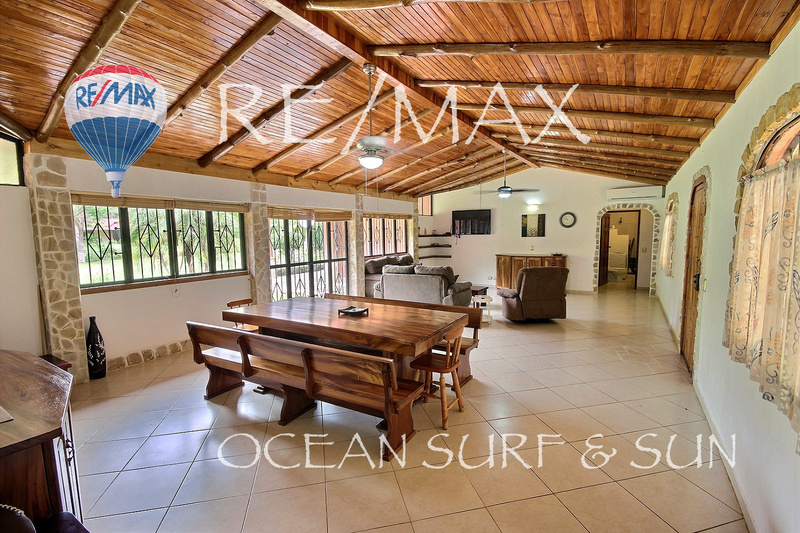 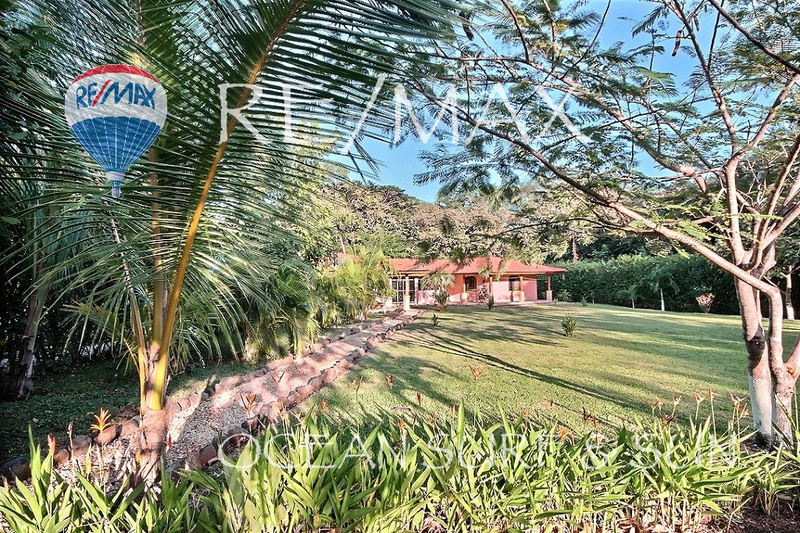 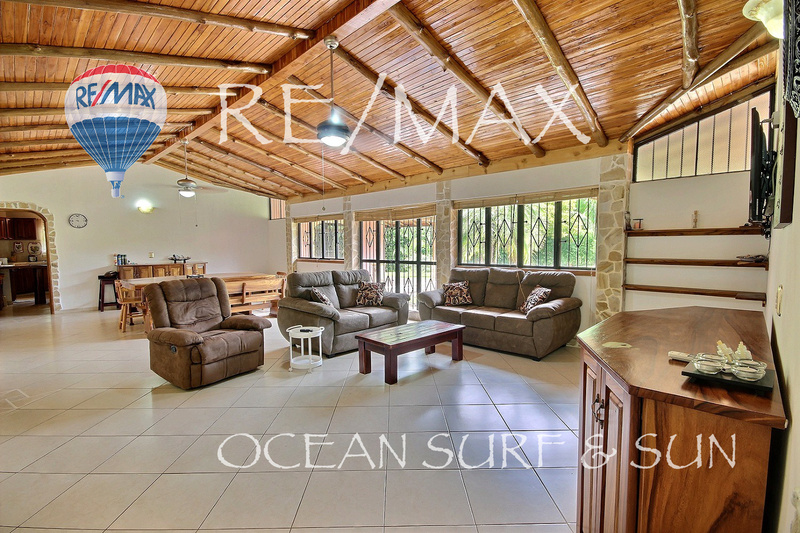 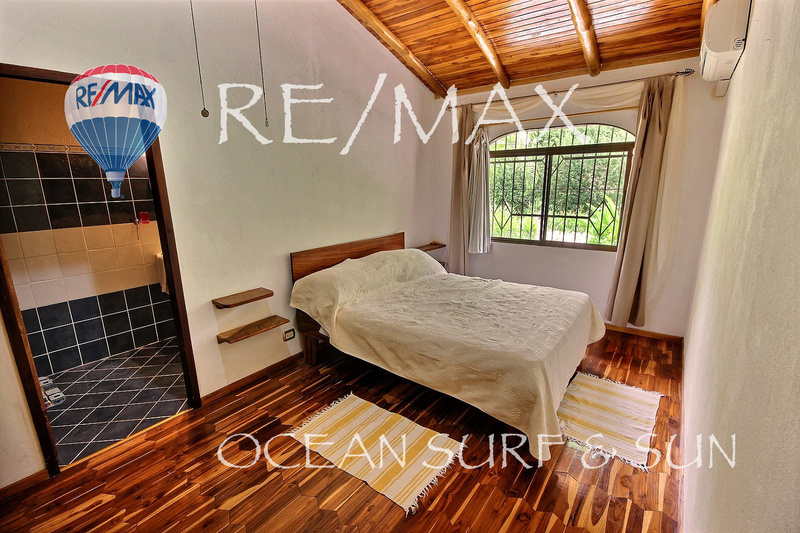 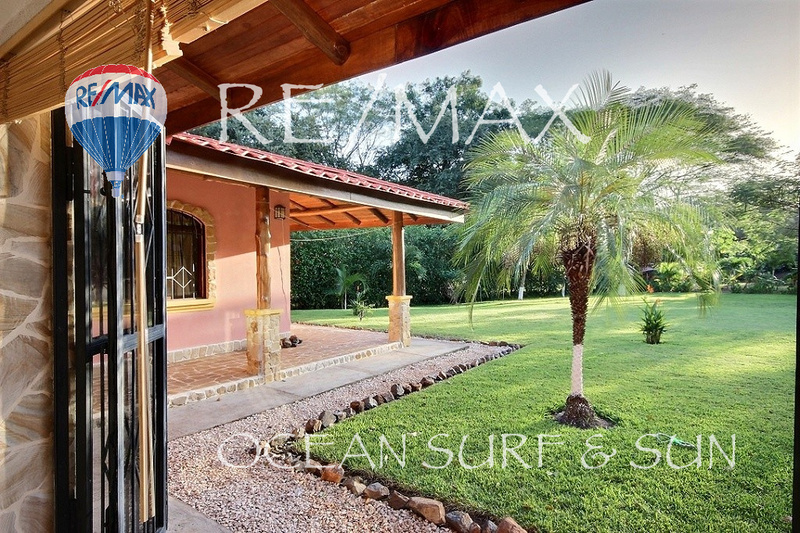 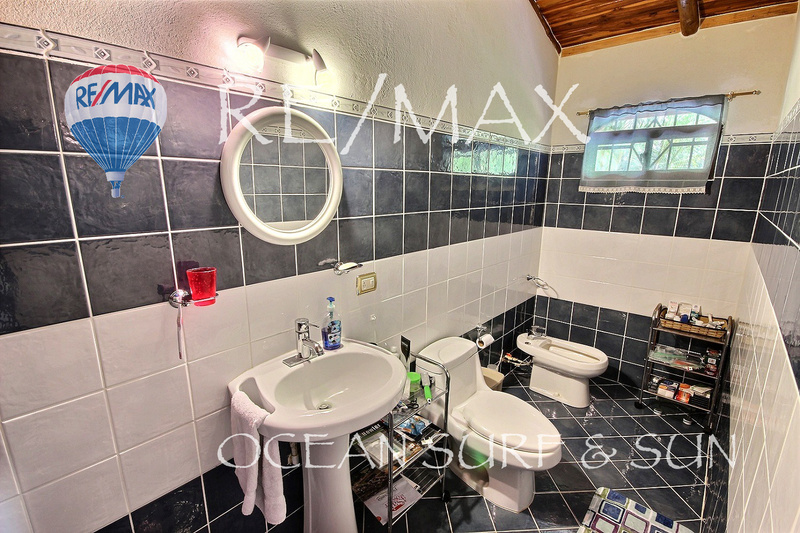 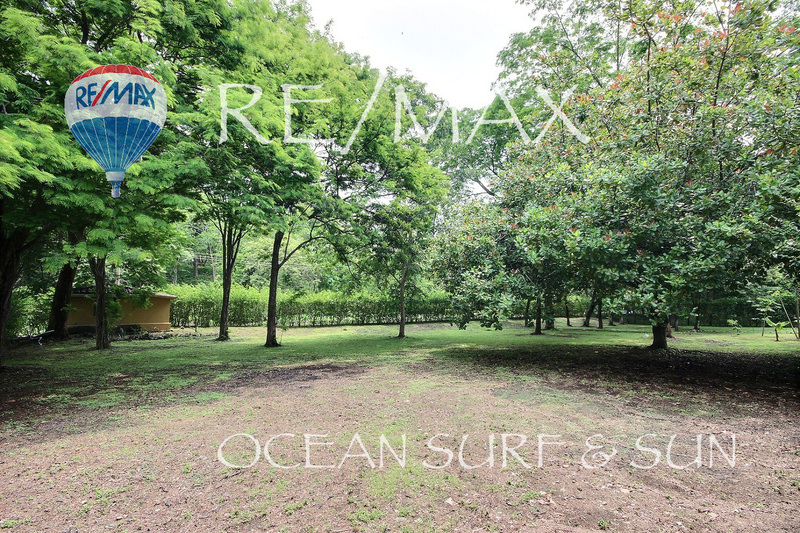 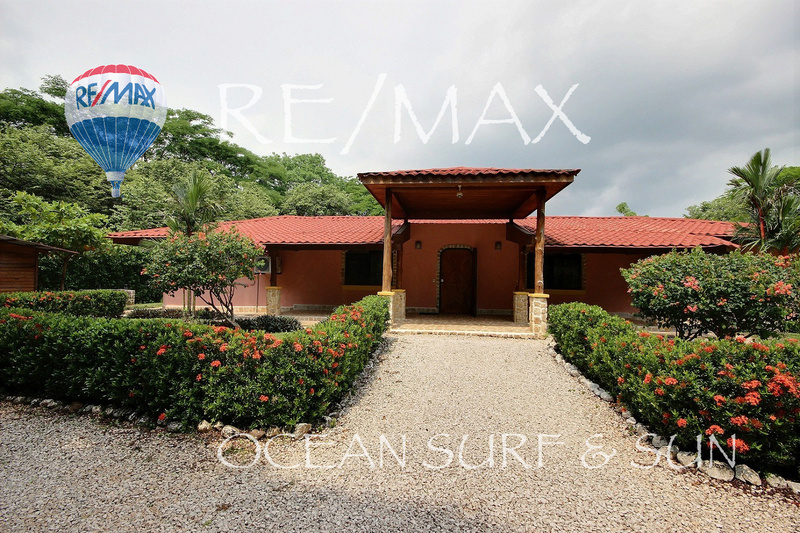 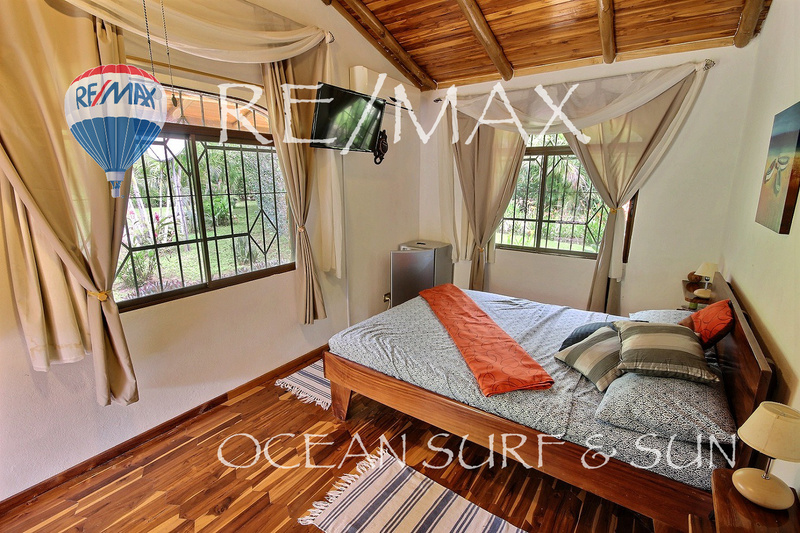 Casa Rio Seco is a beautiful two bedroom house with a one bedroom suite and two separate lots each measuring over 2000m2, totaling over an acre. 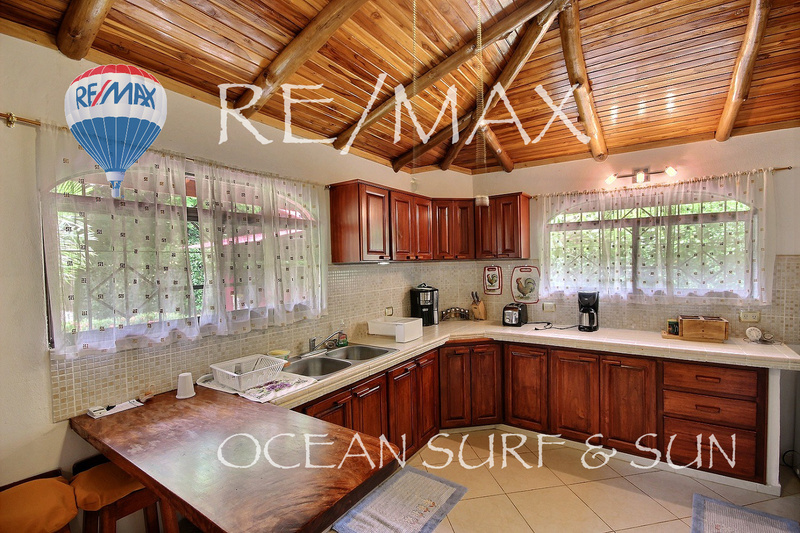 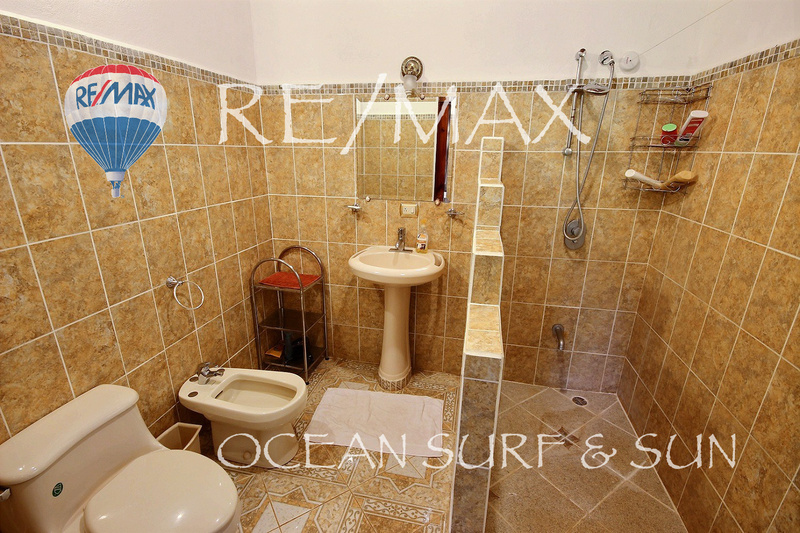 The house is meticulously well maintained, looks and feels new, but was finished in 2013. 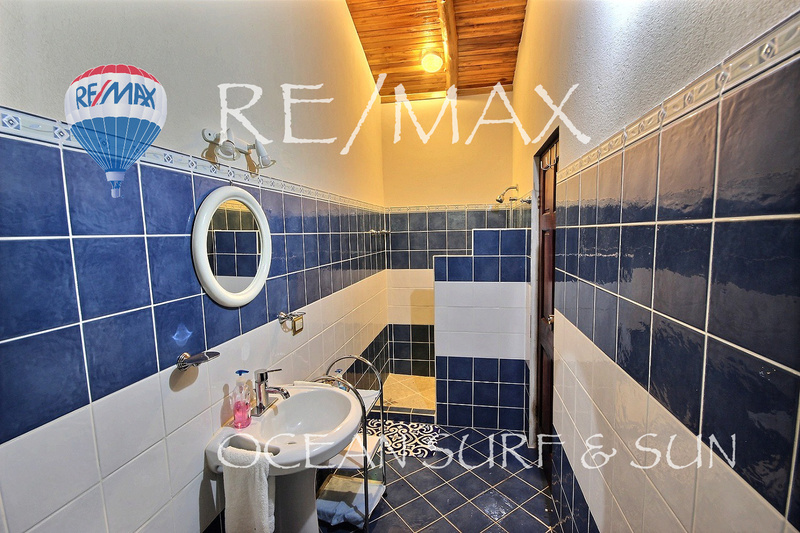 Absolutely every detail is perfect, the house needs nothing! 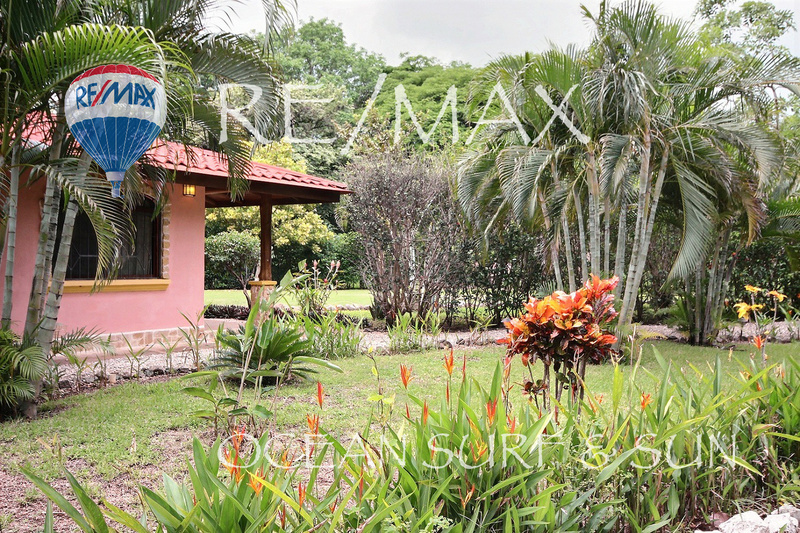 The property has city water, but also has its own well on-site keeping the mature landscaping lush and green year around with low cost via irrigation system. 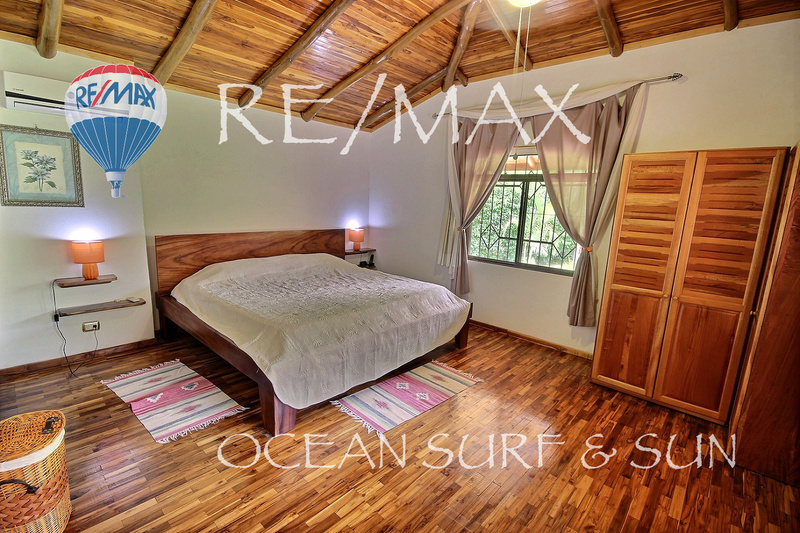 The most striking aspect of this home is the ceiling and bedrooms floors finished in hi-gloss local teak wood. 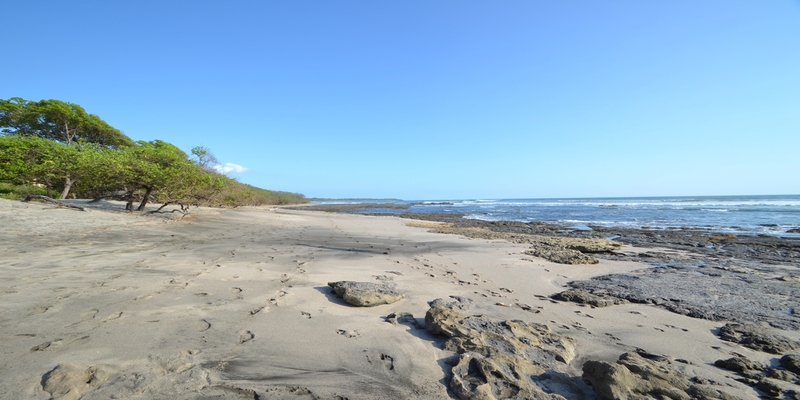 Gorgeous to say the least!